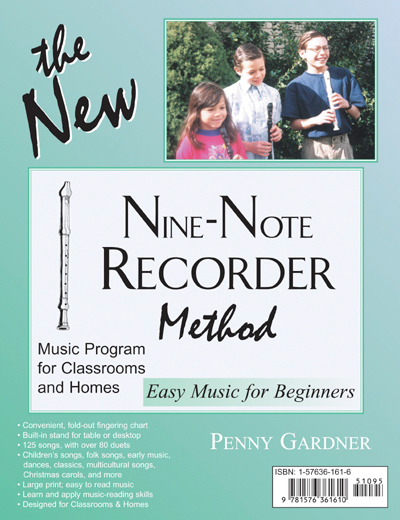 These sound files of every song in the Nine-Note Recorder Method will be especially helpful to those who are just learning to read music. You may listen to the songs to help you learn to read music or to determine if you are playing a song correctly. You may right click to copy this midi files to your computer or onto a write-able CD for your personal or classroom use. These midi files are very small, but if they don’t work on your device or if you prefer MP3s, click here.